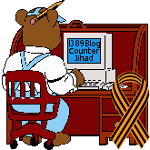 Flight 93 Memorial: It points to the Vatican — 1389 Blog - Counterjihad! Based on Alec’s arguments, one could claim that the memorial is oriented toward the Vatican. The Flight 93 crescent can indeed be seen as pointing to the Vatican, for the simple reason that the Vatican sits on the great circle line between the crash site and Mecca. This is what Griffith represents as some concocted method for calculating the orientation of the crescent: the great circle method! This calculator rounds to the nearest degree, so Mecca and the Vatican both are presented as lying on the great circle line that, from the crash site, proceeds 55° clockwise from north. Of course a person who faces Mecca is also facing everything else that happens to lie in the direction of Mecca. When Griffith acknowledges that the crescent points to the Vatican, he is not debunking of the Mecca-orientation of the Flight 93 crescent, but confirming it. Griffith said Rawls suggested memorial organizers would be outraged if the crescent pointed to a Nazi concentration camp instead, the professor said it actually could be done. Of course Rawls never suggested that anyone should care if the crescent pointed at a concentration camp. Is there a worldwide religion of facing Nazi concentration camps for prayer? Was Flight 93 hijacked by people who face Nazi concentration camps for prayer? An unpublished report that Griffith wrote for the Pittsburgh Tribune Review in 2006 clarifies his concentration camp reference. It notes that there was a Nazi concentration camp (Drancy) located just outside of Paris, which as you can see on the maps above is also (like the Vatican) on the great circle line between the Flight 93 crash-site and Mecca. In his 2006 report, Griffith acknowledges that the crescent points to the Drancy camp, yet is still unwilling to acknowledge that it points to Mecca. Somehow, the crescent points to everything on the line to Mecca except Mecca. He is doing the same thing when he tells the Park Service now that the crescent can be seen as pointing to the Vatican, without being clear that this is because the Vatican sits on great circle line to Mecca. In his email, Griffith complains that Rawls has been trying to bully him into changing his analysis. Nobody is trying to bully Griffith into changing anything. We are trying to expose him as a fraud. Griffith is practically in tears about being called a Pecksniff (a character from Martin Chuzzlewit “who lies and cants whether he is drunk or sober”). It is the perfect epithet. Look in the dictionary under Pecksniff and you will see Daniel Griffith’s picture. Not that anyone should bother to read Griffith’s email, but if anyone wants to, it puts front and center another astounding example of Griffith’s free-form dishonesty. From this supposed quote, Griffith goes on to construct an elaborate fantasy about how, since the great circle line between the crash-site and Mecca does not actually go over the North Pole, it was really Rawls, not he, who started this idea that you can face different directions to face Mecca. Griffith quotes only the second half of this sentence, omitting the part about connecting points “on the opposite sides of the northern hemisphere.” That allows him to pretend that the points referred to are the crash-site and Mecca. Of course Shanksville and Mecca are not on opposite sides of the hemisphere. Mecca is about 2/3rds of the way around the hemisphere from the crash-site. I fail to be convinced that only 2, rather than the infinity of possible, arcs are acceptable to Muslims. Bwahahahaha! Griffith just finished saying how wrong it is to think that a person facing north from Shanksville is facing Mecca. Then he turns around and uses this face-north-to-face-Mecca claim (misattributed to Rawls) as justification for saying that a person facing any direction is facing Mecca. Just how much peck has this idiot been sniffing?